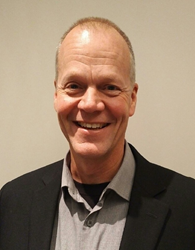 Canada’s leader in professional commercial trailer rental, leasing, sales, service, parts, and storage, Trailer Wizards Ltd. announced the appointment of Mark Irwin as vice president of fleet effective December 12, 2016. In this role, Irwin will have a dual focus; he will be a key member of the executive team driving the organization forward and he will lead the service management team, responsible for a fleet of over 24,000 trailers for 23 locations coast to coast. Irwin most recently ran WINIX Developments, a fleet consulting company, and held long term positions as director of maintenance at Bison Transport and Stock Transportation. This new position was created to ensure the highest level of customer service and focused expertise for the country’s largest fleet of trailers. Each of the Total Customer Care locations has anywhere from 4 to 39 full service shop bays to accommodate the fleet. In addition, for increased customer up-time, there are 45 custom designed mobile service trucks. Irwin will manage key performance indicators, build on the continuous improvement model, and further develop a team of professional technicians. “Mark is one of the most honest and knowledgeable people that I know and I look forward to working with him in this new capacity.” Bernard Ouellet, operations leader for the PIT Group - an industry organization that tests and evaluates technologies. Mark is known and highly regarded in the industry and will be an asset to the Trailer Wizards team. He will be based out of the Mississauga location and can be reached at Mark.Irwin@trailerwizards.com or ( 905) 740-3907. Trailer Wizards Ltd. is Canada’s largest and only national commercial trailer rental, leasing, sales, service, parts, and storage company. For over 50 years, Trailer Wizards Ltd. has been delivering professional commercial trailer solutions with fast, customer-friendly service while continuously driving out costs. Trailer Wizards Ltd. is once again a winner of Canada’s Best Managed Companies program and provides “Local Service… Nationwide.” For more information, visit http://trailerwizards.com/ and follow on Facebook, Twitter , or LinkedIn.